Established in 2012, at Delhi (India), we, “Advanced Surveying Instruments (India) Pvt. Ltd”, are one of the leading names engaged in Manufacturing, Wholesaling,Trading,Retailing a highly efficient range of Surveying Products. 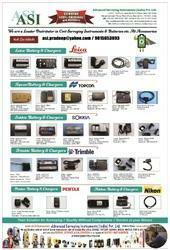 In our product range, we offer best in class products including Total Station Battery amd Charger, South Products and Sokkia Products. widely used for measuring and surveying purposes. The offered product range is precisely designed and manufactured at vendors end utilizing top-notch quality raw material and advanced technology in adherence to international quality standards. These products are appreciated for excellent performance, less maintenance, robust design, hassle free functionality, high durability and reliability. We offer these products in different technical specifications in order to meet the variegated needs of the clients. Additionally, clients can avail the offered products from us at affordable prices. Further, we are progressing towards the recognition of a reputed brand by rendering professional services for installation and after sales. We are supported with authentic and reliable vendors of the industry, which enables us offer impeccable quality surveying instruments. The offered instruments are designed and manufactured at vendors end in their state-of-the-art manufacturing unit which is equipped in all the latest machinery and technology. We have selected a panel of procurement agents, who are capable of selecting our vendor base and before dealing with them some of factors are kept in mind like company profile, goodwill in the market, track records, quality of products, financial status, etc. 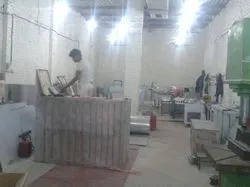 Moreover, we are backed by a spacious warehousing unit that enables us to store our bulk consignments in a safe and secure manner, before transportation. Our warehouse is segregated into different sections that enable us to keep our products separately according to their category. In order to store our product range in safe, convenient and secure manner we have a well-equipped large warehousing facility with a smooth inventory management system that is administered by our warehousing personnel. 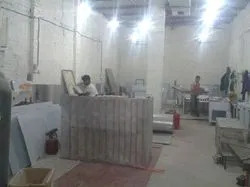 The warehouse unit has been further segregated into various sections to store the products as per their category. We deliver our products in high quality packaging material in order to ensure safe transit at the clients’ end. Being a quality-centric firm, our prime objective is to satisfy our clients by offering them high performance products in the committed time frame. 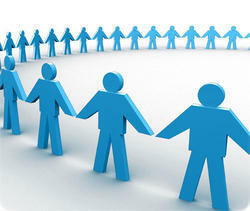 We are a customer-friendly organization and always focus to attain the utmost clients’ satisfaction. Further, our ethical business practices and client & quality conscious approach has made us the prime choice among clients. We have successfully established ourselves in the industry as a reliable and trustworthy organization known to serve optimally our clients. This has been possible due to the efforts of our director, “Mr. Pradeep Kumar”. 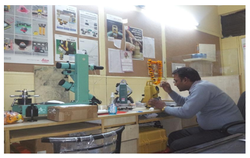 ”Our mission is to make Advanced Surveying Instruments (India) Pvt. 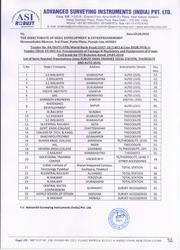 Ltd. Service Center, first service & technical support centre for all make of survey instruments”. We are dealing in next generation surveying products and providing consistent services that are aimed towards exceeding the clients’ expectations. Our ability to become the reliable entity is further strengthened with the offered quality assurance that makes us accountable to gain insights of all aspects of our clients’ business requirements. Therefore, each of the delivered products is verified on strict parameters and the offered services are rendered under rigid quality control measures. We supply all types of repair & calibration services for any kind of surveying instruments with our best technical online support. We deals in sokkia south topcon surveying instruments & accessories ,repair & calibration services total station,digital theodolite,auto level,distance meter,gps & all accessories. We are looking forward to expanding ourselves by exhibiting our proven capabilities to develop innovative quality surveying products. We therefore have invested substantial amounts in leveraging the modern day manufacturing advancement. Our company premises cover a large area and giving us competitive advantage to expand our business operations with the soaring product demands. Our work set up is parted into highly advanced units for R&D, manufacturing, quality testing, packaging and distribution. We are associated with certified vendors of the market in order to offer high performance range of surveying instruments to our clients. 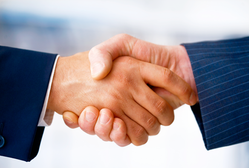 We select our vendors with the assistance of our procurement agents who make in-depth market research. In addition to this, our vendors assure us that the products offered by them are manufactured using premium quality raw material in compliance with prevailing industry norms. Most importantly, vendors are selected on the basis of their market reputation, quality of products, quality standards, financial stability and industry experience. Services provide by dynamic & dedicated engineers. Calibration & repair for total station, theodolite, auto level, GPS etc. in affordable price. We endeavor to become the reliable, stable and trusted business partner and the proficiency of our team plays the key role in our augmented competency. We have young and highly passionate professionals on board who foster the core principles of loyalty, integrity and respect for each other. We have industry’s most experienced R&D specialists, product development experts, trained service engineers and quality testing associates in our team. Owing to our unwavering attention towards clients’ expectations, we have become the preferred entity offering exceptional quality products at the best price. Further, our mission is to anticipate and fulfill to the potential wider requirements in the marketplace, and we do this by partnering with recognized vendor base and leading brands in the industry. Moreover, our business concept to provide quality products in the shortest delivery time is the reason behind our sustainable growth.